JNN 12 Jan 2014 Manama : The Bahraini regime has suspended reconciliation talks with Shia opposition leaders amid ongoing protests in the country. 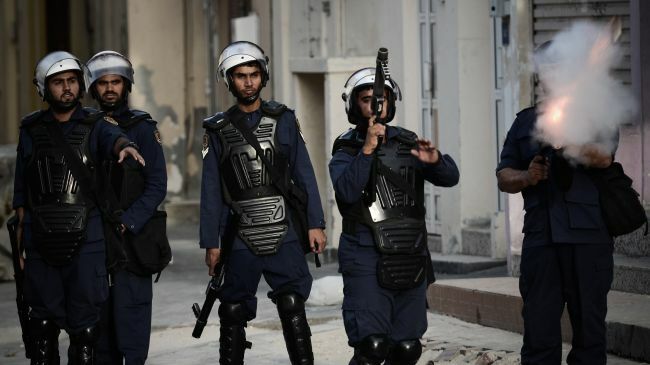 Security forces in Bahrain have attacked anti-regime protesters in a village west of the capital, Manama, wounding two people. The Bahrain News Agency said on Wednesday that the national dialog ended after the opposition said in September last year that it would not participate in talks. The opposition’s decision followed the detention of Khalil al-Marzooq, the spokesman for the al-Wefaq National Islamic Society, Bahrain’s main opposition party. Meanwhile, pro-democracy protests were held in several towns, including Sanabis and Samahis. This entry was posted in Middle East and tagged Bahrain News Agency, opposition leaders, Protesters, security forces. Bookmark the permalink.